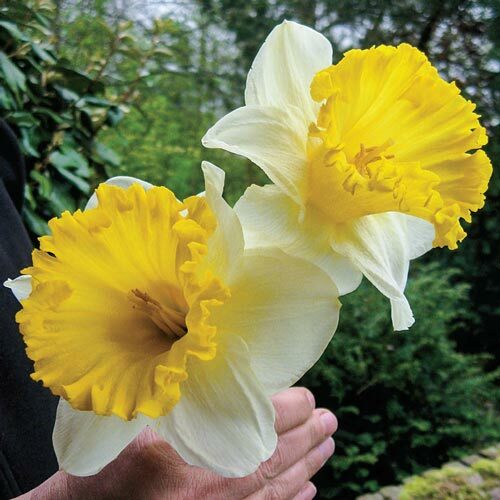 16-18" tall, vivid yellow trumpet, ivory-white petals. 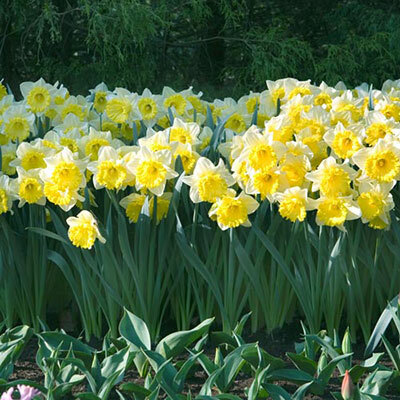 Perhaps the best-known group of Narcissus, many of these large Trumpet Daffodils such as 'King Alfred' have been favorites since Victorian times. Multiplying freely, these terrific naturalizers have a long blooming season. 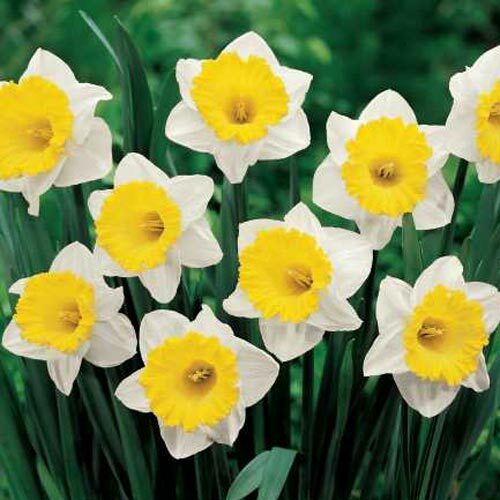 Large flowers, with trumpets as long as or longer than the flower petals.